Dedric Lawson had a double-double with 26 points and 12 rebounds to lead No. 2 Kansas to a 77-68 win over Marquette in the second semifinal of the NIT Season Tip-Off on Wednesday night. Theo John made Dunk. Assisted by Joseph Chartouny. Joey Hauser made Three Point Jumper. Assisted by Jamal Cain. Markus Howard made Three Point Jumper. Assisted by Joseph Chartouny. Sam Hauser made Jumper. Assisted by Joseph Chartouny. Brendan Bailey made Two Point Tip Shot. 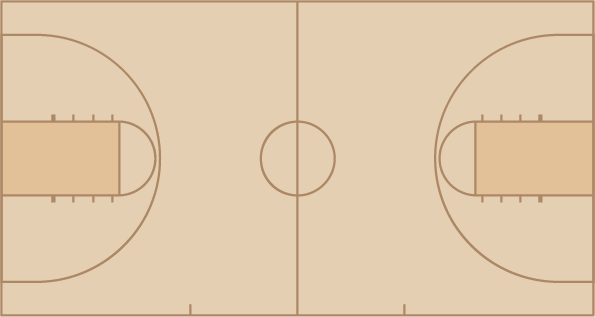 Joseph Chartouny made Three Point Jumper. Assisted by Sam Hauser. Matt Heldt made Layup. Assisted by Markus Howard. Joey Hauser made Layup. Assisted by Joseph Chartouny. Theo John made Dunk. Assisted by Joey Hauser. Theo John made Layup. Assisted by Joseph Chartouny. Udoka Azubuike made Dunk. Assisted by Dedric Lawson. Marcus Garrett made Three Point Jumper. Assisted by Udoka Azubuike. Lagerald Vick made Layup. Assisted by Devon Dotson. Lagerald Vick made Layup. Assisted by Udoka Azubuike.